Good vision is a precious gift to mankind but unfortunately loss of vision or blindness in people makes their world complicated. Blindness may result from a disease, injury or other conditions that limit vision and because of which Blind people confront a number of challenges every day. It is believed that when an individual is visually impaired his learning, social interaction, locomotion, general operation and adjustment are bound to be adversely affected. They face numerous challenges especially with their environment usually they have a difficult time in navigating outside the spaces that they have to accustom to lead daily life. In fact, physical movement is one of the biggest challenges for blind people. Though technical advancement brought things easier for blind people still they find tough to access it. Secondly access to education, finding job, settling in life, settling their families are the major hurdle for visually impaired and moreover the social challenges which they face make them feel less confident. Often people think that visually impaired cannot make things easy and they depend on someone for their needs. These so called preconceived ideas make them think that they are helpless and powerless. To break this stigma and misconceptions around them Kanavugal Lifeline Foundation was started by veteran social worker, also a visually impaired Mr. Saravanan, Ph.D research scholar in 2015 with a aim to work for the overall growth & development of the people with Visual, Hearing & Speech Impairment and to make them stand tall as an independent individual. Arranging Readers for the candidates during the examinations. To be highlighted KLF has inaugurated its audio assistive library for visually impaired who are appearing for competitive exams. Almost 882 books have recorded to audio formats and more than 160 books have been recorded for the school and college students. The Trust has arranged scribes for 164 candidates appeared for their in school, college and other competitive exams all over India. KLF also arranged Readers arranged for 63 group V I candidates during the time of examination. KLF understood the need of eradicating misconceptions about visually impaired in the community and to strengthen visually impaired support system, KLF organized 18 awareness programmes in blind schools. Provided school uniforms for 75 V I school students. The Trust applied an application to the Government to provide flux talk player, smart cane (smart blind stick) and magnifiers for 20 V I candidates. Arranged artificial leg for two physically challenged persons. The Trust conducted TNPSC Group 4 classes above 70 sessions for V I candidates. The Trust conducted classes for UPSC Civil Service 2018 Examination for 23 V I aspirants from 16.02.2018. The Trust provided donation to candidates who had participated in National Level Judo game and we are proud to say that one of them won three gold medals and qualified for upcoming Asian games and Para Olympic games. 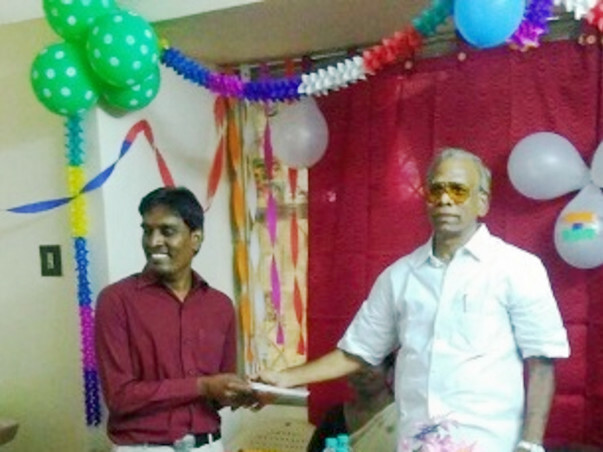 Kanavugal (Dreams) Lifeline Foundation which is a new born TRUST who actively involved for empowering the Visually Impaired people and serves like a ladder to uplift them to succeed in their life. We believe we cannot extend our helping hands to the persons with different abilities. We expect public and noble minded people’s contribution in reaching the maximum. We aim to place a minimum of 100 students in Public & Private sectors in forth coming years. So do support us in any kind, material, donation and sponsorship. All the candidates with visual impairment, deaf and dump can contact us at any time and utilise our best service to upgrade their life. Very difficult to Pay the rent of the building, around 30 visually impaired students who are very poor are studying. Not Paid rent for more than 6 months, 15000 is per month rent . This fund is very helpful in meeting the rent payable. Thanks a lot to donors for helping us. Great work Senthil :) my small donation .. Jobless right now, once employed will do more !! !